Check out my new post on Fierce, Freethinking Fatties! While I don’t think anyone should compare oppressions – they way a fat woman is treated by the public peanut gallery is more than just unwanted objectification. It’s often fat shaming and fat hate. Once a month I participate in Rarely Wears Lipstick’s “Ask a Feminist” series. The series is akin to the old ”Dear Abby” column. Basically, someone sends in or poses a question about living in a patriarchal culture and a group of feminists, including myself, give our insight on how we would handle that particular issue. The questions that come our way can be as complex as how to normalize intersectionality or they can be everyday issues like how to manage being ignored at work because you’re a woman. 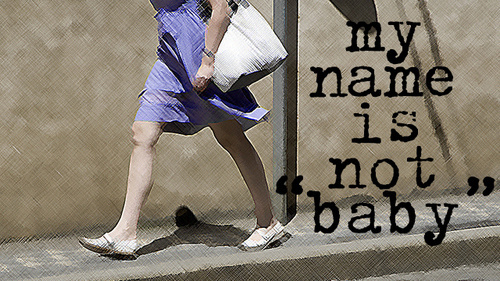 This month the question that came our way was about how we would handle street harassment.